This week we brought an end to the Medieval world by seeing its erosion in the 14th century, mostly through the decimation of the Black Plague, as well as the early hints of nationalism. 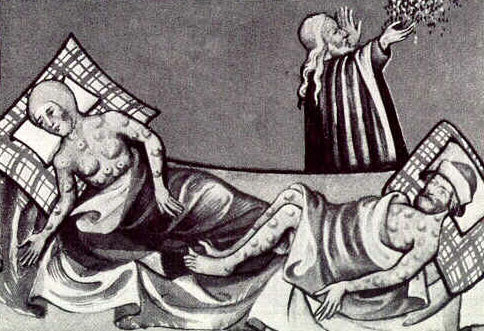 The disaster wrought by the Plague went beyond the deaths of millions of people. It also did away with an entire social and moral fabric upon which the medieval world rested. The virulent and contagious nature of the disease created acute moral dilemmas wherever it struck. Should diseased people be quarantined? Should apparently well people be allowed to flee to other towns? They might have the disease but not yet show the symptoms. The communal spirit that medievals needed to make their society work broke down. Fear and uncertainty meant that no one could trust one another. Imagine that you know that a couple people in a certain household have the plague. Probably their other family members have it too, but of course you can’t be sure. Should you let the apparently well people out of the house? Some towns took the step of immediately boarding up houses where even one person had the plague, which would condemn all those in the house to death. But towns that took these harsh measures had far fewer deaths overall than those who didn’t. Is this moral? It condemns a few to certain death, but it might save a number of other lives. The plague caused a great deal of tension between those who thought the greatest good lay in the safety of the community, and those who thought the priority should be treatment of the individual. A number of contemporary chroniclers tell of the debilitating social impact of the disease. Families abandoned even the bodies of their dead for fear of catching the disease, and so many went unburied. Healthy (and usually wealthier) people abandoned towns if they could, and the mutual relationships between nobility and the “commons” eroded. The plague may have had an indirect role in the peasant uprisings, first in France in 1358, and later in England in 1381. Froissart records events in France this way. . . Thus [the peasants] gathered together without any other counsel, and without any armour saving with staves and knives, and so went to the house of a knight dwelling thereby, and brake up his house and slew the knight and the lady and all his children great and small and brent his house. And they then went to another castle, and took the knight thereof and bound him fast to a stake, and then violated his wife and his daughter before his face and then slew the lady and his daughter and all his other children, and then slew the knight by great torment and burnt and beat down the castle. And so they did to divers other castles and good houses; and they multiplied so that they were a six thousand, and ever as they went forward they increased, for such like as they were fell ever to them, so that every gentleman fled from them and took their wives and children with them, and fled ten or twenty leagues off to be in surety, and left their house void and their goods therein. These mischievous people thus assembled without captain or armour robbed, brent and slew all gentlemen that they could lay hands on, and forced and ravished ladies and damosels, and did such shameful deeds that no human creature ought to think on any such, and he that did most mischief was most praised with them and greatest master. I dare not write the horrible deeds that they did to ladies and damosels; among other they slew a knight and after did put him on a broach and roasted him at the fire in the sight of the lady his wife and his children; and after the lady had been enforced and ravished with a ten or twelve, they made her perforce to eat of her husband and after made her to die an evil death and all her children. They made among them a king, one of Clermont in Beauvoisin: they chose him that was the most ungraciousest of all other and they called him king Jaques Goodman, and so thereby they were called companions of the jaquery. They destroyed and brent in the country of Beauvoisin about Corbie, and Amiens and Montdidier more than threescore good houses and strong castles. In like manner these unhappy people were in Brie and Artois, so that all the ladies, knights and squires of that country were fain to fly away to Meaux in Brie, as well the duchess of Normandy and the duchess of Orleans as divers other ladies and damosels, or else they had been violated and after murdered. Also there were a certain of the same ungracious people between Paris and Noyon and between Paris and Soissons, and all about in the land of Coucy, in the country of Valois, in the bishopric of Laon, Nyon and Soissons. There were brent and destroyed more than a hundred castles and good houses of knights and squires in that country. 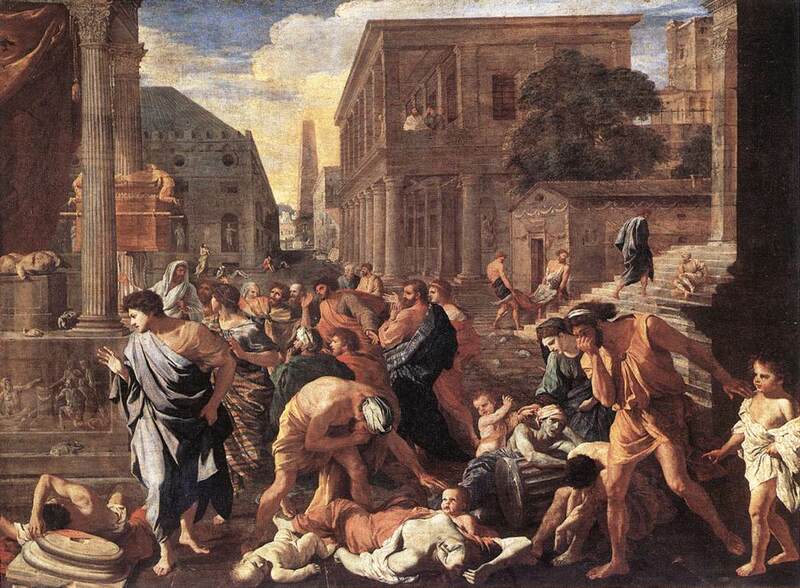 The plague also had a catastrophic impact on the Church and its witness. Many priests demonstrated great courage in tending to the sick, and in consequence died in much higher numbers than the average population (I came across one figure that estimates that the plague may have killed 80% of the priests in Europe). This left many towns with no priest at all, while other had priests rushed into office with little to no training. This led to a poorly trained, uneducated clergy and many layman with no religious guidance at all. The Reformation 150 years later had many causes, but surely the gutting of Church leadership from 1350-1450 is one of them. Therefore, we inflict punishment on ourselves to atone for the sins of others. Their rules contained some quite reasonable and acceptable things which agreed with such natural human inclinations as to journey about and do penance, but they did not enter the Kingdom of France because Pope Innocent, who was at Avignon at that time with his cardinals, considered the practice and opposed it very strongly, declaring in condemnation of the penitents that public penance inflicted by oneself was neither right nor lawful. They were excommunicated for doing it, and especially those clergy who went with them. But again, most did not listen, so strongly did fear grip them. As the Church declined in prestige, the first inklings of nationalism arose. The Church opposed nationalism in the past because they did not want people to think of themselves as primarily English or French, but Christians. One goal of the medieval church was to create a unified Christendom in Europe, a Christendom that if necessary could serve as a “power” bloc to the Moslem world. To achieve this, however, the church had to minimize the role of national hero-kings. But as the war progressed both sides had their national heroes, like Henry V and Joan of Arc, and this led to the rise of an “English” and “French” spirit that helped end to the medieval dream of a unified Christendom. I think we can point to a few possible reasons for this rise of nationalism, and while we should not confuse it with modern day nationalism, it had some similarities. As the length of the war increased, the ‘bet’ each side made increased as well. With so much invested, no one wanted to fold. War has a logic of its own, and finds new ways to justify itself, so. 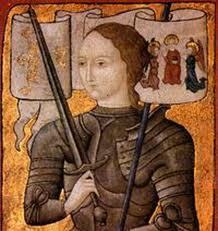 . .
Henry V clearly capitalized on this, but so too did the more distinctly Christian Joan of Arc. By the end of the 100 Years War in 1453 the medieval world had disappeared. Those that survived the plague found their labor in much more demand, forever altering the relationship between peasant and noble. What the Battle of Crecy began the plague finished. Western Europe would seek a new way of understanding themselves and humanity’s place in the world, which we know as the Renaissance. We turn our attention to this period at the end of next week. This week we looked at the beginning of the 100 Years War (1337-1453), and especially the Battle of Crecy in 1346. 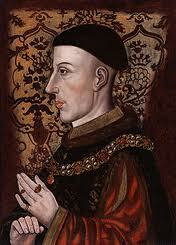 The battle, though a major victory for England, did not prove decisive in the long run. However, it is perhaps the most famous battle of the war because it foreshadowed the beginning of the end of chivalry, and with it, the feudal system as a whole. As we noted a few weeks ago, the Church in particular, and the feudal system in general, tried to limit the possibility of conflict. So, only a certain group of people should fight, and then, fight in a certain way with certain weapons. Riding on horseback with lance and sword required a great deal of training, which in itself restricted who could possibly fight. This is part of the reason why the Church tried to prevent the widespread use of the crossbow. The simplicity of the design meant that anyone could use this weapon, a kind of medieval version of point and click. And, at close enough range, a powerful crossbow could pierce a knight’s armor. Some suggest that the Church sought only to protect the privileges of the nobility in their attempt to ban the crossbow, but I believe it’s more than that. 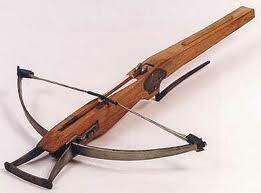 The crossbow posed a threat to limited warfare, restricted to a narrow class. With a crossbow almost anyone could join the fight. 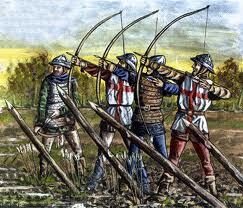 The English had a tradition of using the longbow. Though simpler in design, longbows had much more power than crossbows, and could be fired more quickly. Another difference between them, however, is that longbows require much more developed skill than a crossbow. Like riding and swordsmanship, it required time and practice to attain proficiency. Hence, longbowmen, though peasants, became a kind of privileged nobility. At Crecy the English had longbows, but the French did not, and this proved decisive in the battle. Muddy ground, combined with French disorganization gave the English bowmen plenty of shots at the French forces. The French suffered untold thousands of casualties and had to flee the field. We might be tempted to chalk this up to the ‘fortunes of war, but if we peel back layers, we see that it was no coincidence that the English had longbows and the French did not. Armies that take the field are a byproduct of specific political cultures, and the battle at Crecy was no exception to this. Longbows posed an even greater threat to the knightly nobility than crossbows, and the longbow could be expected to meet with the resistance of the nobility. It would take a strong central government to allow for the longbows development. The king would need a great deal of authority over local nobility to make this happen. 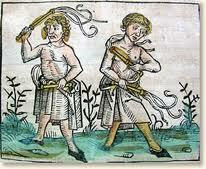 Finally, those who accidentally killed or injured others with the longbow were exempt from legal punishments. Clearly, the longbow was not just a technological innovation, it was an innovation of a particular political environment. To raise the longbow to the status of the sword meant elevating the status of peasants, or at least some peasants. The longbow was not just a weapon, it foreshadowed a social revolution. The Church found out that stemming innovation is a fruitless endeavor, but they correctly judged the consequences of the introduction of these weapons. 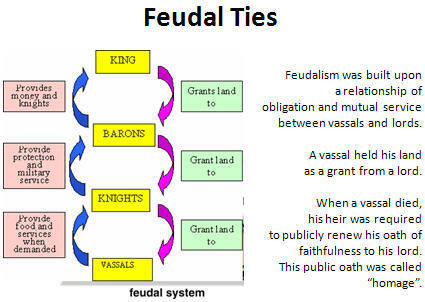 The feudal system could approach fairness if each group in society served legitimate needs of other groups. The nobility had certain privileges, but also difficult military duties that endangered their lives, took them away from home frequently, and so on. But if the peasants did not really need them for protection anymore, what was the reason for the existence of the nobility and their privileges? Next week we will look at how Crecy may have spurred on peasant revolts in France, and the devastation of the Black Plague. Last week when we looked at medieval society we saw that the basic “flow” of their civilization ran towards security and stability over opportunity and change. This week we looked at the historical context of this choice, and what other areas of belief may have influenced those choices. Many of us may believe that we have freedom to make of our lives what we will, that we paint upon a blank canvas. In reality, where we live, when we live, and what happens around us influence us a great deal, sometimes subconsciously. 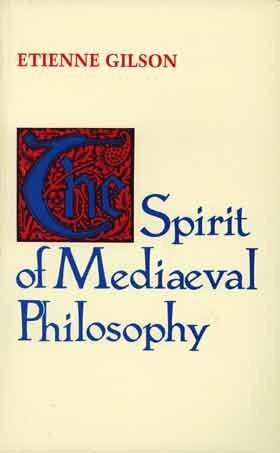 So too, we must evaluate the choices made by the medievals in light of the context from which they emerged. 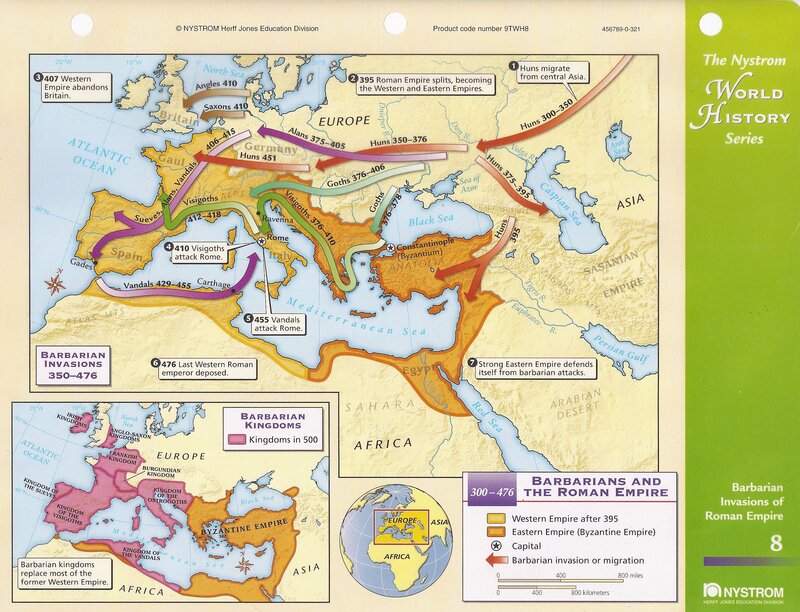 In the centuries after the fall of Rome, change and uncertainty formed the dominant theme, as the map below indicates. No one can live like this for long. Wen respite came after the conversion of many of these tribes, it made sense that one would want to create a society where one knew their place for themselves and their children. We see this love of “knowing one’s place” in their cosmology. A few different ideas dominated their view of the cosmos. For the medievals one looked “up” at the stars from a fixed position on Earth. Everything you saw stood higher than you, and naturally height conveyed superiority. The Earth occupied a pride of place, in the sense that other planets revolved around it, but what many overlook is that it also occupied the bottom rung of the ladder, a combination of dignity and humility. As my colleague Mr. Rogers pointed out, they represented the Earth thematically in relation to the rest of the cosmos, for here is where the drama of salvation takes place. It is precisely this division and separation that created the overall harmony. 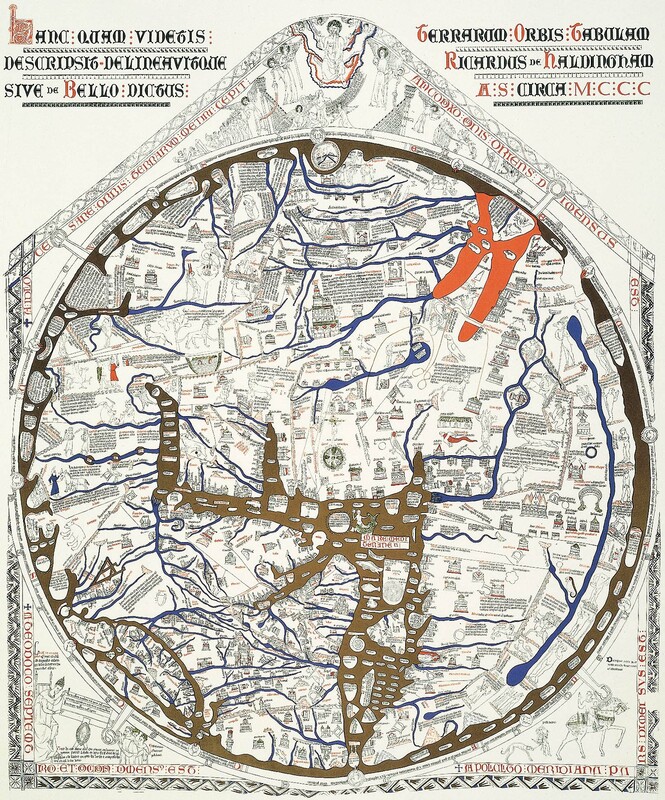 Space for medievals brimmed with energy and life, in contrast to the modern view of a great cold void. 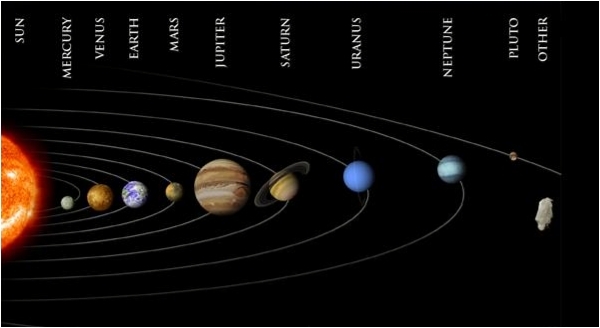 Sound comes from motion, and it seems that they literally believed in the “music of the spheres,” a grand cosmic symphony created by planetary motion. Everyone knew their place in the cosmos, and knew that place to have significance. 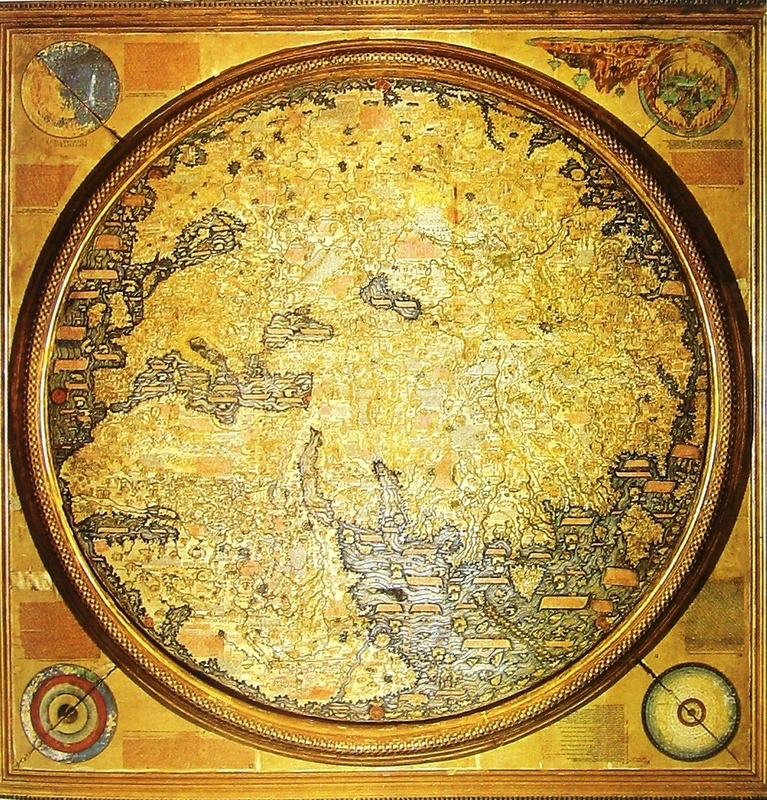 As a brief aside, we note that for the medievals, education involved not just the “trivium” — the grammar, logic, and rhetoric of a subject — but also the “quadrivium,” consisting of arithmetic, geometry, music and astronomy. To see music grouped with these three will strike us as odd. But for the medievals the only way to understand math was to understand music, and so too, astronomy could not be properly understood without knowing music. Music then, served not just to entertain but to teach us about the reality of the universe itself. Whether they consciously linked their cosmology and their daily life or not, we can see a direct connection between their view of society, though can’t tell if the chicken preceded the egg. Like all societies they had their own system, their own strengths and weaknesses. Whatever its faults, in feudal Europe you knew your duties and what was expected of you, as this text from ca. AD 1200 shows. . . 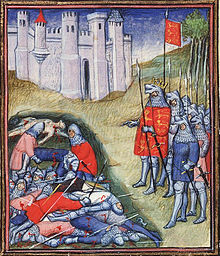 I, Thiebault, count palatine of Troyes, make known to those present and to come that I have given in fee to Jocelyn of Avalon and his heirs the manor Gillencourt, which is of the castle La Ferte sur Aube; and whatever this same Jocelyn shall be able to acquire in the same manor I have granted to him and his heirs in augmentation of that fief I have granted, moreover, to him that no free manor of mine will I retain men who are of this gift. The same Jocelyn, moreover, on account of this, has become my liege man, saving however, his allegiance to Gerard d’ Arcy, and to the lord duke of Burgundy, and to Peterm count of Auxerre. Done at Chouadude, by my own witness, in the year of the Incarnation of our Lord 1200 in the month of January. Yes, it could be complicated (but less so that the software contracts we “agree” to). Basically the king ruled at the behest of the nobility, but the nobles owed the king military service. Peasants farmed the land of the lord, but the lord owed them protection and patronage, and so on. The whole of society was a dance of mutual obligation. But just as the Earth could not switch places with Jupiter, so too your station is your station, whatever betide (for the most part).